Commercial property brokers, Costa del Sol, Spain. Over 30 years of dedication. DBA Costa del Sol Property Shop. 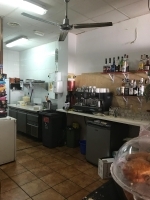 Spacious cafe/bar in a super busy street leading to the beach and main square in La Carihuela. The business is open and trading for a number of years. Very successful business currently catering to the international clientele who visit the resort time and time again. You really get the best of both world with the large ex-pat community and the thousands of holiday makes who visit year after year. The general condition is excellent and fully furnished and equipped. If your looking for a serious turnkey business catering to a mixture of nationalities then this gem deserves a viewing. It isn’t difficult to see why Grace Kelly, Ava Gardner, Orson Welles and Frank Sinatra chose this beach to enjoy the Mediterranean in the 1950s and 60s. Next, to the sand, you can take pleasure from a magnificent promenade and lots of shops, bars, restaurants and beach clubs in one of the town’s most characteristic areas, which is a must-visit. If you head west, you’ll arrive at the small beach of Saltillo and then Puerto Marina in Benalmádena. Going in the other direction leads to La Punta or Morro de Torremolinos, the natural monument that divides the promenade. When the town began to promote tourism and the first big hotels, like the Tropicana and the Pez Espada, opened their doors, half of Hollywood passed through La Carihuela. The sun, its length of two kilometers and the wide range of gastronomic offerings made it one of the most attractive parts of Torremolinos, and today it still retains the charm of the typical Andalusian village that it once was. Britannia Estates is one of the longest established British commercial brokers based along the Costa del Sol. Specialising in the sale and transfer of Bars, Cafe Bars, restaurants and pubs. We are a friendly family run company with over 50 years of experience so we have a wealth of local knowledge and expertise. Business for Sale on the Costa del Sol? will get back to you as soon as we can, usually within 24 hours. By contacting us, you will be added to our Newsletter recipients. number and we'll call you back. Click HERE to see our residential properties on the Costa del Sol. Or HERE property offers from our affiliate branch on the Costa Blanca. 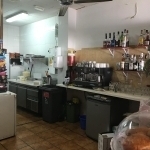 Bars and Restaurants for Sale in Fuengirola, Mijas Pueblo, Benalmádena or Torremolinos. Guidelines for Buying Businesses in Spain. Bars in Benalmadena, Cafe bar Fuengirola, Music bar Mijas, Restaurant Torremolinos, Drinks bar Costa del Sol, Beach bar La Carihuela, Bar restaurant Los Boliches Fuengirola, Cafe Arroyo de la Miel, Bar Torremolinos, Cafe drinks bar Benalmadena, Costa del Sol Bars for Sale, Cafe bars in the Port Fuengirola, Bar in Torremolinos, Cocktail Bar La Cala, Resaurant Benalmadena Costa del Sol, Hotels Malaga Costa del Sol.